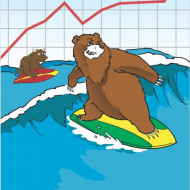 Gain financial freedom to never be at the mercy of the market or an advisor telling you to sit through the next major decline because “markets always go up”. Take control of your investments so that you will never feel helpless again watching your portfolio’s value drop like a rock. Out of frustration, a feeling of helplessness and a determination to find a better way, Randall Mauro, Chief Investment Officer at Resnn Investments, discovered how to keep your money safe, spending only 1 minute-a-week. Learn the strategy that got him started in the financial world keeping his money safe and allowing him to quit his ‘day job’ at the age of 38. With over 40 years of backtested performance to verify the results for yourself. As an outsider to the world of Wall Street, Randall Mauro tells it like it is. 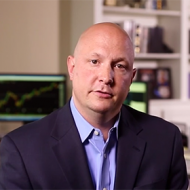 He dispels the myths, challenging everything you’ve been taught about traditional investing. Most importantly he shares with you an easy-to-use technique based on Protective Investing™ that will keep you safe in bad times. How much better off would you be, if in 2008 you only lost 4.5% instead of a loss of 45% like the average investor? From 2001 to 2003 investors lost over 70% of their net worth. Ten years later they have yet to come close to breaking even. In 2008, they again lost over 45% in just three months; it took over six years just to get back to break-even. Just two years later, in 2010 the market dropped 17% and one year after that, in 2011 another 18%. In fact, over the entire history of the stock market this process has been repeated over and over; massive loss then a period of recovery where investors sit with a losing position hoping to get back to break-even. Amazingly, even savvy investors that hired a Professional to manage their money found that have done no better, with 97% of all advisors consistently underperforming a ‘buy and hold’ strategy. As a result, investors just continued the process since they knew of no better way … They would Buy and Hold Hope. Discover why Diversification, Dollar Cost Averaging and other Wall Street preached strategies no longer work to protect you. But more importantly, say goodbye to the old way of thinking, say goodbye to Buy and Hold Hope and learn a proven, verifiable technique that takes no real time commitment to beat the pros … literally only 1 minute-a-week to keep your money safe. Simplicity is a trader’s greatest asset, which many spend an eternity and several fortunes attempting to figure out. Randall’s strategy is a glimpse into just how simple success can be. Don’t over think this book. Buy it, read it and put its contents to work today! Buy and Hope summarizes what can be called the very best approach to investing in an easy to understand format designed for the trading novice. Randall does a great job of sharing his own personal experience as a true professional and makes it entertaining, thought-provoking and an easy read. 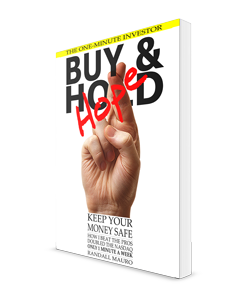 Buy and Hope is a book squarely aimed at the ordinary investor who resorts to buy-and-hold as an investment strategy or makes emotional decisions that lead to even worse results. In this accessible book, which is a mix of personal anecdotes, sound investment observations, and excellent investment quotes, Mauro provides an alternative strategy that offers the potential for equal or better returns with significantly lower risk. Although there are no guarantees that the recommended approach will outperform in the future, it is certainly worth consideration as an alternative to what investors typically do. I feel like a kid who has learned the rules to a new game! I’m now more than halfway through the book: laying in bed at night in a house we are rebuilding, I’m thinking, what can I do if the stock hits 20, 30, 40. And I realized this is the last time I will ever buy, hold, and hope. I feel like a kid who has learned the rules to a new game. Let’s play! A very well written and informative book. I found this book easy to understand. For someone who has invested for 35 years it taught me some things I didn’t know and did it in simple terms that a lay person can understand. Disclosure: I received an advanced copy of this book… I believe that this book is a must read for anyone who is interested in investing. This book (as the title indicates) is taking investing beyond just buying stocks or mutual funds and hoping that they perform well. This book presents an incredibly easy-to-follow method that (via back-testing results) has shown to have outperformed the overall market. While it’s really easy to implement, it does require that you check in on your investments on a daily basis; but you are literally spending less than one minute monitoring your investments. This is a strategy that anyone can implement; you just need to be willing to “work” for a few seconds each day. There are many books that offer various strategies (one of my favorites is How TO Retire Rich by James O’Shaughnessy), In this book. Mr. O’Shaughnessy presents various different investing strategies that are mostly easy to implement. Mr. Mauro’s book presents only one strategy, but it is incredibly easy to implement and appears to have an incredibly successful track record. If you are interested in investing and moving beyond just buying your investments and then ignoring them, I recommend that you read this book. Books on finance aren’t suppose to be this much fun to read! Wish I had this information 20 years ago. Not everyone wishes to spend a hour a day studying stock charts and graphs. If this sounds like you, you’ll enjoy this book. Many investors hold their retirement savings or college funds in ETFs that follow the S&P 500 or Nasdaq but have no idea how to judge the strength or weakness of these indices. They’re at the mercy of acting on what they hear from the ‘experts’ on nightly business programs or what they read in periodicals. Randall has simplified the process of assessing strength or weakness by merely focusing on a critical moving average. I invest in individual stocks but have my daughter’s college account in an ETF that follows the S&P. This is information I can certainly use to quickly monitor the index’s progress. As you would expect, I was skeptical after reading the title. But the payoff did come half-way into the book. The first half was Randall’s story, which I always enjoy reading because it gives me a perspective of where the author is coming from. It’s an easy read. I liked the simplicity of the strategy and according to the author’s back testing it has performed quite well. For people who want to get decent returns without spending much time this could be a good book to read. Buy and Hope is an entertaining book and the author does a great job with personal anecdotes. At first you might think there’s a bait and switch here but Randall actually spells out exactly what he does and explains how you can do it on your own. There’s nothing else to buy and no further consultations. Nothing! Read the book, follow his advice, which obviously has worked for him, and judge for yourself. This book is a great blend of a personal story and a simple yet powerful strategy that will certainly help individuals protect their nest egg, especially those without trading experience. Whether you manage your own portfolio or have a professional advisor, this book is a must read! When I started reading “Buy & Hope” I thought that I would read the intro and the first chapter and then get on with other things that needed doing. I found that it was difficult if not impossible to put this book down. A very well written and thoughtful approach to LONG TERM investing. I highly recommend it to anyone who is interested in investing in the market. Seems like it really works and makes total sense. Everyone should read it, and stay out of trouble. Another down cycle will happen, when we don’t know, but it will. 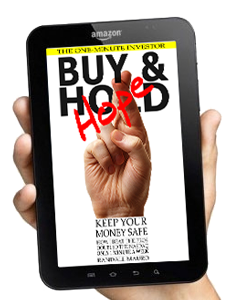 Click the button below to write your comments about Buy and Hold Hope! Randall Mauro is the founder and Chief Investment Officer for Resnn Investments. He is a Registered Investment Advisor. 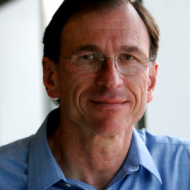 Before founding Resnn Investments, Randall spent 18 years in the software industry as the owner of two Information Technology and Data Analytics firms. The firms took a quantitative data-centric approach to solving various client problems which eventually evolved into the Resnn strategy of using vast amounts of data analysis to deliver solid low-risk performance in both good and bad markets. Being an outsider to the financial industry made it easy for Randall to identify the problems present in Wall Street today and ‘think outside the box’ to find alternatives to the status quo. He brings a unique perspective to Resnn … understanding more than most as to what it is like to be a customer of a financial firm and the frustrations that most investors face with typical financial advisors who are more sales driven than performance and value driven. 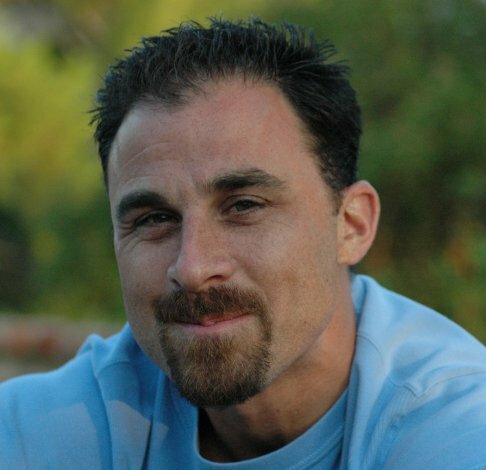 Randall Mauro is going to release shortly a new book, called “Trust, but Verify“.Sign up to be notified when the new book is released!